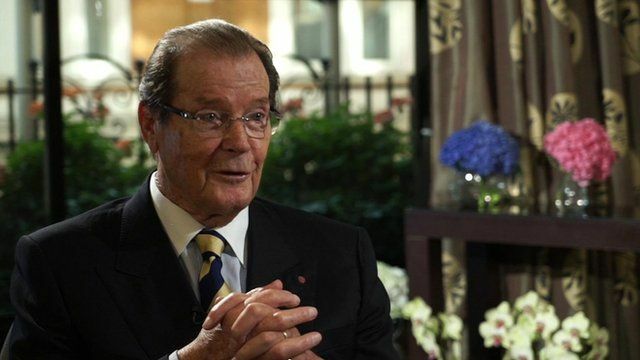 Sir Roger Moore: BBC interview Jump to media player Sir Roger Moore, one of the few men to have played James Bond, reminisces about his Hollywood career and playing 007. Moore: 'Sean's the best Bond' Jump to media player The longest serving actor to play the role of James Bond, Sir Roger Moore, has praised his predecessor Sir Sean Connery as "the best Bond". Sir Roger Moore is one of the few men to have played James Bond. Now, at the age of 86, he has released a new book looking back at a career spanning almost seven decades. He tells the BBC's Matthew Amroliwala about kissing Lana Turner, playing the Saint, and of course, 007.